Martinez writes with a confident sense of the humorously absurd. I thoroughly enjoyed the alternate reality he created, especially the fact that gods and goddesses actively solicit followers. The story itself is alternately fantastically amusing and oddly philosophical. 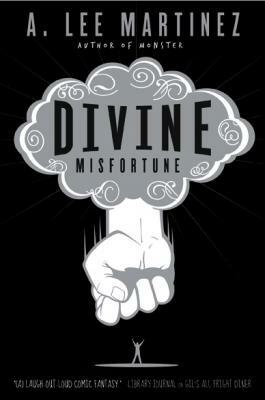 If you’re looking for a great read that will make you laugh out loud, give Divine Misfortune a shot. Teri and Phil had never needed their own personal god. But when Phil is passed up for a promotion - again - it's time to take matters into their own hands. And look online. Choosing a god isn't as simple as you would think. There are too many choices; and they often have very hefty prices for their eternal devotion: blood, money, sacrifices, and vows of chastity. But then they find Luka, raccoon god of prosperity. All he wants is a small cut of their good fortune. Oh - and to crash on their couch for a few days. DIVINE MISFORTUNE is a story of gods and mortals - in worship, in love, and at parties.